Use late-Holocene tidal notches as earthquake geological effects? In 2003 a devastating Mw 6.6 earthquake shook the city of Bam in the remote Kerman region of SE Iran, killing at least 31,000 people. This was one of the most destructive earthquakes on record in Iran, and racked up the fifth largest death toll of any earthquake since the year 2000. This blog post will focus on highlighting research which shows that even after this awful natural disaster, the hazard posed by faults in the area is likely to have remained high, contrary to many common assumptions. 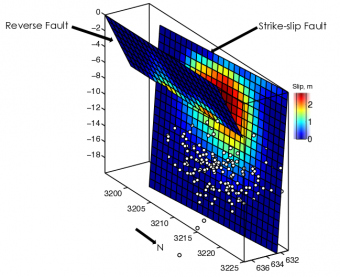 Immediately following the Bam earthquake scientists scrambled to map the housing damage, surface fractures, aftershock patterns and co-seismic deformation to better understand the earthquake source . One such study found that the structure responsible for the extreme shaking at Bam was a previously unrecognised near-vertical strike-slip fault directly beneath the city, which ruptured between 2-8 km depth . However, accurate aftershock locations suggested that the fault zone could generate earthquakes well below the base of the 2003 rupture patch, to nearly 20 km depth . Slip distribution during the 2003 Bam earthquake and the associated aftershocks (white circles). The aftershocks are clearly occurring below the co-seismic rupture, suggesting the bottom half of the fault is seismogenic and unruptured. (1) Will post-seismic deformation mechanisms relax the stress changes generated by the 2003 earthquake on the fault surface aseismically? (2) What is the future seismic hazard at Bam? In a recent paper published in Geophysical Journal International, we have addressed these questions, as well as other topics of academic interest, by studying the post-seismic deformation after the Bam earthquake . 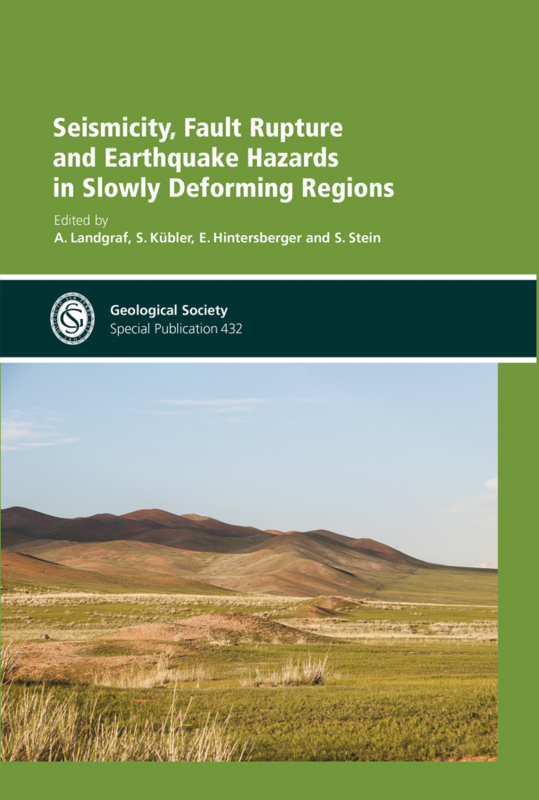 We would like to invite contributions to a special volume entitled « The 2016 Central Italy Seismic Sequence: Insights, implications and lessons learned » that will be published in Tectonics AGU journal (details here).